abandoned children being cared for by neighbors in apartment motel. 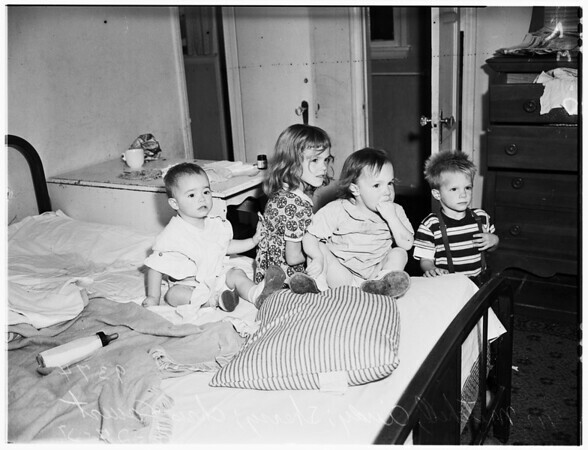 (Parents, Mr. and Mrs. Don Covert, left them with neighbors in motel two days ago. 37: Mitchell on the right in this pix".